TOPAZ HORIZON: Is blogging even still relevant this 2016? Topaz Horizon officially turns 10 years old on May this year. Yep. Ten years. I think about who I was and where I was 10 years ago and now... What a blessing blogging has been! 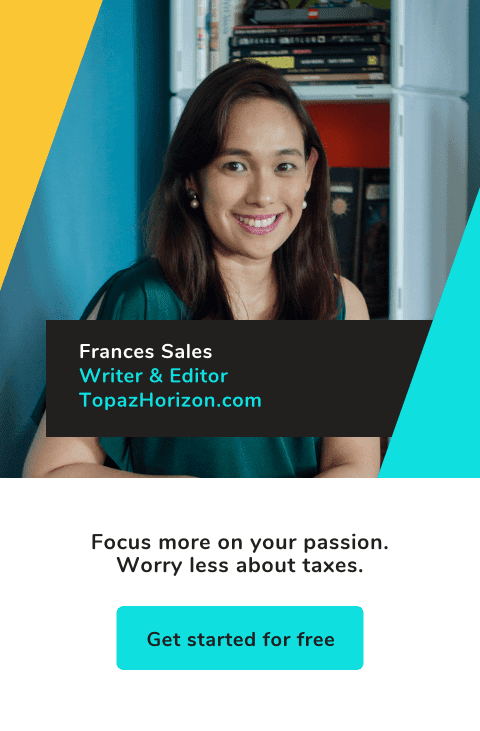 I've been blogging since 2005 (on Friendster) but I created Topaz Horizon in 2006. I had only 50-80 hits a day but I loved blogging! It was so therapeutic to blast my thoughts out into cyberspace and pretend people are reading me. Fun times! I didn't care no one was reading my blog. In fact, it was so liberating to know no one was there because I could say whatever I liked, say bad words, say bad things. Yes, if you read my posts from those early years, they were awful. Absolutely awful. I keep them around anyway to remind me of how I've evolved from that self-absorbed, whiny brat to this 39-year-old wife and mom juggling many jobs and trying to find time to shower! There will be only one blog. I'm merging Topaz Horizon and Topaz Mommy end of this month. I haven't announced it to my Topaz Mommy readers yet, but my mommy blog sponsors know and they are all shifting their support to my new (returning) role as a lifestyle blogger who happens to be a mom. That said, that means there will be more parenting posts here now. That will make Topaz Horizon lotsa fun! Expect at least three blog posts a week. With just one blog to maintain, updating my blog will be tons easier. I'm planning to publish a post on Mondays, Wednesdays and Fridays. Sponsored content and my own ramblings will be balanced. When I monetized blogging, never did I dream it would one day be the occupation that will put food on our table. So now that that's the case, I won't say no to business. I'm grateful that my Loyal Readers send me feedback about my sponsored content—that they still sound like me and real and "not paid." I'm very careful about picking brands to work with because I always want my readers to believe me. I put so much of myself out there and I don't ever want anyone to think it's fake. As a businesswoman, I love pleasing my clients and my readers. I think sponsored content is something I do well. I do realize however that as a blogger, I have to stop flooding you with sponsored content. They can't come one after the other or else you'll think I only blog for the money. The past two years, well, that's been mostly the truth. With three babies and my work as a magazine editor, I just didn't have any time to blog so I only blogged if it was for partners. I'm really sorry about that. Thanks for still sticking around! Now that the boys are a little older, I think I can breathe easier now. I can do personal posts more often and still have space for sponsored content. As a business, this blog needs to have a certain number of posts to survive. But so you don't see sponsored content one after the other, I promise that for every sponsored post, I'll follow it up with a personal post. So the more business I get, the more personal posts I'll have to churn out! I will start blog series! This really excites me. Readers look forward to series like What I Wore, Wordless Wednesdays, Inspiring Women, My Kitchen Tips, etcetera ad infinitum! I've tried this before actually but it never quite worked because my series involved so much work. Topaz Fashion was what I wore, Topaz Reads was what I read, Topaz Beauty was beauty reviews. It was just too much time and effort! I couldn't sustain it! So I've come up with a couple of ideas. I'll announce them both within the month! So excited for them! I will do more giveaways. Okay, let me confess that I dislike doing giveaways because they attract professional contest joiners. They're not really interested in the content, they just want the prize. Then once the contest is done, they don't go back. 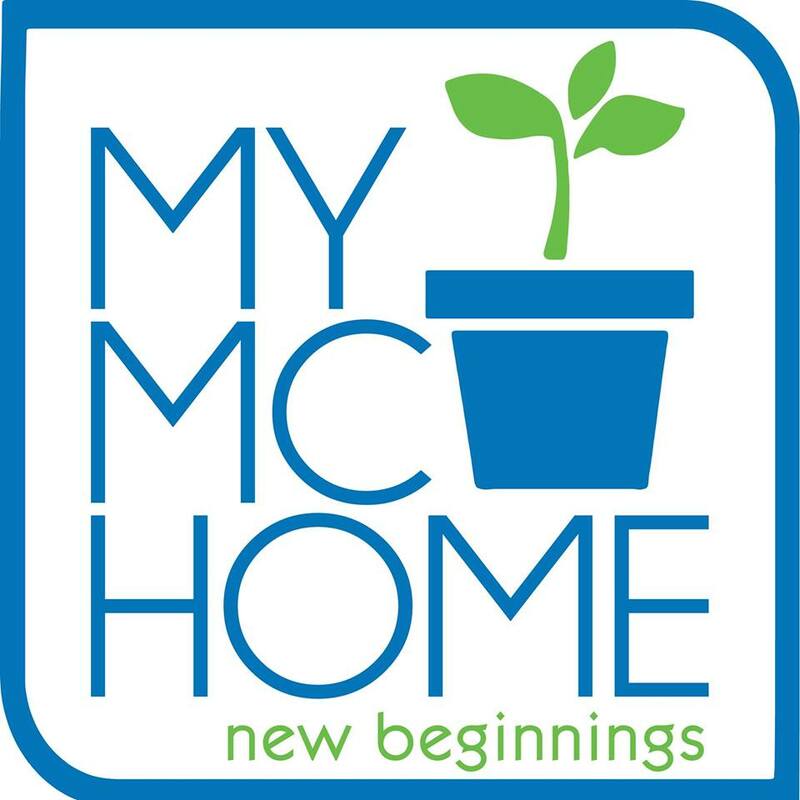 But because I get so many wonderful freebies from brands and because I want to share my blessings with my Loyal Readers and because I don't want to let the clutter of products pile up in my already-small home, I will do giveaways! I'll just come up with mechanics that will help me award the prizes to deserving readers. I'll share what I know about the blogging business. I did a workshop with The Study by Enderun Colleges and it was all about making your blog generate income. I think I did well there but I now know that I can help bloggers better if I had follow-through with my students. My workshop was more of a talk because a workshop means I have to be engaged with each participant and make sure what they learned will work for them. So I'm planning workshops and blog coaching sessions all on how to make your blogs make money. So exciting! So now you know most of my plans for Topaz Horizon this 2016, the tenth anniversary of its existence. But I also want you to know that I've been thinking of the future of blogging. Is it still even relevant in this age of fast-food type of content? Instagram is huge because it's just snippets. Facebook is just as big—you can share photos, thoughts, links, videos, memes without even leaving the platform! Snapchat is... I don't even understand it but it's short videos that have a 24-hour life. And then there's YouTube. Okay, videos are not easy to create (I've tried again and again) but they are the biggest thing online and readers are gravitating towards viewing by the millions. My friends in brands dismiss it now. They say blogging is only relevant for Google searches. They want to work with bloggers so that when someone Googles "brand X review" or "brand Y price", their brand pops up in the search. Hmm. Brands think blogs and bloggers are theirs. That's their mistake. And maybe that's the bloggers' mistake, too. Look, I've said it before, "You only bought space on the blog. You didn't buy my soul." Bloggers, have integrity. Don't let a measly shampoo or a free meal or a check make you forget that you and brands are collaborators. They are not your employers. You do not work for them. You are working with them. You have a say, you can dictate content, you can tell them what you and your readers want and if they insist on what they want, walk away. This is how blogs die—when we give it up to advertisers. I know. I've stopped reading blogs overrun by ads. My own blogs, I'm sad to say, have started down that path, too. But I'm taking blogging back! I think blogging is very much alive, if only suffering from the onslaught of brands. Yes, how ironic, no? Brands came in to work with blogs and suddenly bloggers had a source of income, but it's also the presence of brands that is driving readers away. I started blogging in 2005, when everybody, absolutely everybody crazy enough to put themselves out there did it for love and love alone. Okay, for the fun of it. Then in 2008 and 2009, advertising discovered bloggers and their massive influence, abandoned print media (and that's why the magazines my husband and I helmed were killed off), poured money into blogging, and then everyone started blogging for fame and money. Not for love. I'm so happy and relieved I was one of the first bloggers of the Philippines. My being in the first batch gave me a spot in advertisers' files even though my blog wasn't huge back then. Now, brands want blog stats, number of followers, ranking, etc. when they approach you for partnerships. Back then, they just want to work with you because of who you are and how good your blog was. I don't think there's anything wrong with making your blog generate income. I always said this from when Topaz Horizon started earning money: The time and effort creating this blog need to be compensated. I'm glad that's happened because I'm living the dream—working from home, doing what I love while being with the ones I love. So I want to be a better blogger—for my Loyal Readers, my brand partners, and most importantly, for myself. I love blogging. With or without sponsors, with or without readers, blogging is forever for me. Right now it's extremely vital to my family because it's what puts food on our table. But blogging will always be important to me because this is how I met many of my good friends today, and my readers from all over the world celebrated my joys and triumphs as well as pulled me through some of my very darkest days. I have a family I've never met scattered throughout the planet. I call you family because I really truly do feel the love. I can never give up blogging because it holds the very best of my memories, it is a record of my amazing life, an unfolding of my thoughts from the last 10 years. When I look back at older entries, I wince at the attitude of that whiny young woman, roll my eyes at how she thought she knew everything, then follow her adventures into marriage, through grief, then a new career, and then motherhood. Blogging is still important because no other platform commands so much writing and thought. Everything else is mostly content made for entertainment. But if you want to change people's lives, influence them to do good (or bad), let people know what you're thinking and feeling, you write it. You have to write it. We have to take back blogging from the brands. That's not to mean we should never work with brands. That just means we shouldn't allow them to dictate our content. That's why readers are leaving blogs by the droves. The blogger has disappeared—there's only buy this, do that, go here, eat that! There's no attempt to even personalize the experience. Bloggers are also using their blogs to promote themselves too much—buy my book, buy my product, download my app, go to my event! Of course, if we're lucky enough to actually have offline products, then we should definitely promote them. We just need to find balance so it's not all me, me, me and brand, brand, brand. Put a little value-for-the readers now and then. Let them see what you think and feel not just what you do and wear. Let them hear your voice, and let that voice be so strong and loud that even when you're doing sponsored content, the readers know it's YOU talking to them, not the brands. If you've been blogging for as long as I have, remember why you started blogging in the first place—didn't we start blogging because we wanted to share our life, we wanted to share our knowledge, we wanted to make a mark and say we were here? We brought our loves, our hearts, our minds, our lives, our very souls to blogging. Let's bring that back. How about you? What are your blog resolutions? What are the blogs that you still love? Why did you stop reading other blogs (no names please!)? Do you prefer social media to blogging? I confess that I do—it's easier for me as a mom! But I'm going to change that. I'm going back to my first love. Topaz Horizon is 10 years old! I'm going to give it lotsa loving this year! *photo by Louie Arcilla. Hair, makeup and nails by Lifestyle Salon by Louis Phillip Kee. Shot at Habitat Manila. Yes, even though I've said that I'm picky with the brands I work with, there have been a couple of brands that I will NEVER work with again because they were such a nightmare. They didn't even want me to write the post, they just wanted me to publish their press release as is. Hi Frances! I've been a solid reader of your blog from 2009 and have never stopped since. I don't really post comments but I've followed your stories about your singlehood, your wedding/marrieage, your rabbits, your being a first-time mother and more. I've read every single post you did, personal or sponsored. It's so weird because sometimes I *think* that I know you on a personal level, when in fact I haven't met you in person yet! Thank you for being an inspiration not just to me, but to others as well. I hope I can meet you someday. Keep the fire alive, Frances! You're a rare gem in the blogging community. Happy 10th anniversary topaz horizon! Really love your blogs. Excited to see the merging of topaz horizon and topaz mommy 😊 i have to laugh about the part on reading past posts. I thought about my very first blog created in 2005 and when i read old posts, I was like, what was I thinking back then?! Nakaka-cringe, noh? Hahaha! I also used to have a food and travel blog where I met lots of great people and even met some of them. Maintaining the blog became such a chore eventually after about 4 years since i felt pressured to post right away and when i couldn't, the backlog just grew and grew. Tinamad na ko tuloy so i discontinued it. I created a new one in 2013 where i post sporadically. I think it works because at least there's no pressure anymore and I post whenever I feel like it. There's this series on my trip to Hongkong that's waiting to be completed though... Heheh. Blogs that i still love to read are the same ones I've read since 2006. My friends' blogs, yours, and ms. Daphne Osena's. Stopped reading other blogs since the bloggers themselves don't post anymore, sayang. And i am with you on taking back blogging over social media preference. I might not be posting a lot, but then there are still great reads out there in the www. Oh my naiyak ako sa post na to Frances (weird, I know!). Probably because I totally felt the love you have for blogging. And I love blogging that much too. Like you, I started with Friendster also but eventually moved to multiply then blogger around 2006. So yeah! My blog is turning 10 this november as well. We've been blogging that long. It's crazy. I had that "blogger" realization last year. I woke up one day and saw myself struggling to increase my traffic, gain followers, getting frustrated with the numbers. And then I asked myself why I have to stress myself with all that when I started blogging years ago simply because I want to. So now, like you, I am trying to get my blog back. I want to kwento. I want to share. I want to write simply because I could. And it was liberating. And oh! Don't worry, even during those times that you felt that brands took over your blog, I can tell you that they didn't...really. Because you still managed to make every post honest and very you. Although I also miss your super personal posts. I started reading you at Topaz Mommy and I learned a lot from you when you only had Vito. I wished you'd share more tips on how to raise 3 boys! Hahaha! Goodluck on the merge Frances! :) Happy New Year! Exactly! Because of brands coming into blogging, bloggers have become more focused on numbers, when we should always be focused on content! We should be motivated by our desire to share, not our lust for fame and money!!! I'll make it short here as I have already written a lengthy one on my Facebook page. Thank you for blogging. Thank you for being real without turning us off; for continuing to do what we have loved about you. I like that you somehow encouraged bloggers like me to still blog from the heart despite the trends. I have read one article that saddened me as I am the storyteller kind of blogger, who will eventually be lost in oblivion if I won't catch up with the trends. Hahaha! So big thanks to this article and your prolific thoughts. Advanced Happy 10th Blog Anniversary! I stopped reading some blogs kasi punong-puno na ng advertorials ang site nila, halos wala ng personal posts - boring na. Happy New Year, Ms. Frances! Hey, DIY is always a big thing in blogging! And how niche! Urban gardening! I would LOVE to know more about that! Wow! Happy 10th year! I've been reading your blogs for years! Primarily the Topaz Mommy site but I've spent a day or two reading the archive of Topaz Horizon (and the beauty site) because your writing skills is so engaging. I think you're a beautiful person inside and out and you always have real stories to share. Agree, you've evolved a lot, from a very glam OK EIC to still glam and very insightful, pragmatic mom you are now. Hope you can have workshop here in Cebu too. Haha, not glam anymore now! Parang this morning, my baby bunso has LBM so I've been confronting poop since 4am! TMI sorry! Yey! I really believe that the first and most important reader of anything we write—be it a journal, a blog post, an article, or a novel—is ourselves. Of course, being aware of an audience matters, but if we keep thinking of an audience when we write, we won't be able to write! We'll be thinking of what they'll think, if they'll love it or hate it, if they'll share it or ignore it, and then we'll be paralyzed na! So, whether you have readers or not, just write. You are your work's most important audience! Blogging without advertising is actually such a wonderful thing. Sometimes I think of going back to a 9-to-5 job so I have a main source of income again, and I can do without blog sponsors. But for now, my partner brands have been so good to me, allowing me this time with my babies. What you do is, yes, true love. One day, I'll go do that again! I started to blog because I want to document my crafts. I still do! And I love it! Then came the brands, I don't usually received a lot so I think its a good way. Mas maganda pa din kasi kapag ang sponsored post eh may personal touch. I love personal blogs I am following a lot of them. I love Instagram too because I post a lot of pictures. I think blogging will go a very long long way. Meron ako nabasa somewhere na baka in the future lahat ng tao nagbablog na. Well I hope hindi naman to mawala kasi I love blogging kahit na I am not good at writing. It helps me bring out something in me that I can't explain. Excited for your future giveaways and advance happy 10th year! Wow. I like the way you're expressing it all in written words. This particular post of yours is a source of encouragement for a blogger like myself. More power and thank you for sharing this. Thank you! That's what I want to do—encourage bloggers! We have to help each other out! Yes, nakakapagod ang blogging super kasi ikaw na ang writer, ikaw pa ang art director, publisher, marketing and PR person! But worth it, yes! I'm the most excited for your blog "merge", haha! You know that I agree with you 1000 percent on all this, and I'm glad we're doing something amazing this 2016, together! I'm rooting for yoooooouuuuuu!!! I'm so excited for us, Martine!!! BBB!!! What a wonderful decade you have here. After 10 years of blogging, all I can say for you is... "This just the beginning and the are more things to come" :) Congratulations my dear. And I'm soooo glad you're blogging again, too!!! You are one of the best bloggers I know because you're so real, inspiring, compassionate and honest. I LOVE YOU!!! Miss you lots! Aww, thanks, Neighbor! ♥♥♥ That comment was originally longer...almost like a post so it'll now be a post (where I'm quoting from here, k?). :D I love you too! Happy 10th anniversary Frances! I've been "stalking" this blog since 2012. Compared to your other readers, I know I followed too late. But I never stopped since, because all your posts are interesting (even the ones on celebrities, especially your Taylor Swift posts because I like her too). Fun fact, I named my baby Iñigo. Now we call him Igo. As you say, your second son is a social media darling. I hope you don't mind if I make gaya your son's name. You're just my idol. My friends thought I got the name from Piolo Pascual's son with the same name! I am excited to see Topaz Mommy and Topaz Horizon merge in one blog. That will be easier not just for you but also for readers. More power! Happy 10th year! I've been reading your blog Topaz Mommy site. congratulations! I'm a follower since 2009. I don't agree on some of your thoughts way way back then but still I was hooked in reading your posts. Then I started to like and even idolized you. The first time I saw you in person, na starstruck ako (remember Greencross campaign). Until now, lagi ako natutulala pag nakikita kita (hahaha). I'm so kilig the last time you messaged me (blush). Congrats for your 10 years in blogging. I agree with all the points that you have mentioned here and I am inspired to do just the same. I have declined some brands (even politicians) who want to partner with me because I can't find any connections with them. Just like your other loyal followers, I am also excited to see the new Topaz Horizon. Good luck! I'm looking forward to the new Topaz Horizon. Thank you for being an inspiration Frances. :-) I can only imagine how you juggle life being a wife, a mom, a blogger and everything in between. Thank you for sharing your life through your blogs. As a brand manager, I totally agree with this. It's a two-way street - we run brands but we should want them to be meaningful and sometimes it's the blogger that ruins that intent! There are more ways to partner with brands - everyone thinks a blog post is the answer. I do blog too, and my separate pay check lets me have freedom to blog without pressure ... and lets me spot the authentically talented ones who create better content. Looking forward to yours! :) As your blog reader, I like your personal stories and opinions the most - it's what got me reading you! All the best! Yes, slow blogging, as I also read on the Make It Blissful blog of Martine, is a much more enjoyable experience. And you can be sure that whatever growth your blog has came from love and appreciation from the blog's readers. It's nice meeting you, too! Happy blogging, Trisha! Blogging is many things for different bloggers, but it used to be exclusively an expression of one's self. As blogging started to go mainstream, things started to change. If there is one thing most people could use more of, it is income. It is not surprising to see the number of people taking to blogging as a means to augment their income. As more and more people get on the bandwagon, put up a blog, write a few articles while spending more time signing up with Adsense and others, and less time learning how to do it right. The result as reported, a new blog is born every 30 seconds and the drop off has become incredibly high. A lot of people who thought they could earn are finding out that it's not as easy as it seemed. Putting up a blog is the easy part. Writing is another thing. It takes time to publish a post and depends really on how a blogger approaches content creation - hurriedly or backed by extensive research. Unless blogging is a passion, it simply is not sustainable. The effort put in is not compensated. Having said all of the above, I personally have set a standard I adhere to. I am no slave to commercialism. Hence I have never attended events to meet sponsors, get freebies, etc. Once that happens, a part of me would be obliged to write with bias - which means I lose a part of me.